When one has issues with how their skin looks, the answer is likely to lie in skin bleach. With so many available, which is the best skin bleach? Is a skin bleach cream a good choice? 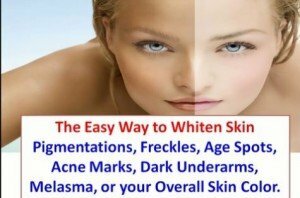 Knowing what alternative skin bleach products there are is important in answering these questions. The best skin bleach is hydroquinone. It works fast than other bleaching products and is approved for use by the American Food and Drug Administration. Hydroquinone is meant for topical application and works by blocking the processes that lead to formation of skin pigmentation. The product comes with manufacturer instructions. It is mostly available in the form of creams containing a two or less percent concentration. Products containing up to four percent are also available but only on prescription. Before using hydroquinone, it is important to test a small skin patch to see if it will have any adverse effects on you. Every package of it normally comes with instructions which should be followed to ensure results are achieved. Ensure you wear sunscreen during the time of treatment as hydroquinone makes skin sensitive to sunlight. The use of skin bleach tends to yield great results especially when used as instructed. Used as they ought to be, the unwanted skin pigment clears up with time to attain a skin that is evenly toned as well as healthy looking. 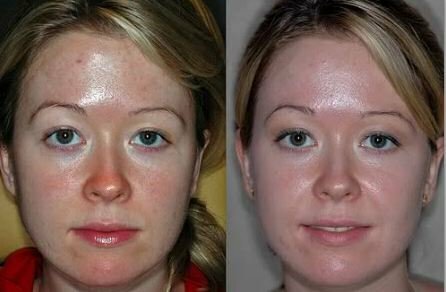 People suffering from skin problems are generally ecstatic at the results achieved after using skin bleach. However, not all is always rosy. To have a positive before and after experience takes some efforts. One ought to use safe products, use them in the right way as recommended and stick to taking good care of the skin. Where this is not done, the results could be devastating. There is a wide range of skin bleaching products. Some are meant for topical use while others work from within. The costs for them and the time it takes for results to be seen depend on the formulation used and the manufacturer too. Skin bleaching creams, lotions, gels and serums are available for topical use. Most of these contain hydroquinone. The safe amount of hydroquinone in any product is a two percentage of the whole. Anything stronger than that should only be used upon prescription by a doctor. 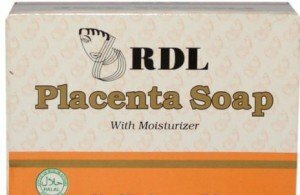 Skin bleaching soap is another line of products. These make use of various active ingredients to attain a fair and blemish free skin tone. Skin bleaching pills and bleaching injections are available and work from inside out. Pills are available over the counter while injections have to be done by a qualified medical practitioner. They mostly contain glutathione and one may be required to take them together with vitamin C pills to enhance their effectiveness. At home natural bleaching products are the cheapest and most readily available option. These though take longer to work when compared with the other products. A blemished skin may affect a person in a way that prevents them from exploiting their full potential. To get back the much needed esteem, one could make use of skin bleach cream. There are many brands of these all aiming at delivering the same results. This though should not come with extra negative effects. Knowing what products have been proven to work without giving any negative effects can help avert any bad results. Zenmed Skin Eraser: This will get rid of any uneven tones that may be present on the skin. The product is not known to irritate the skin and will result in a glowing skin that is evenly toned and looking good. Meladerm Skin Lightening Cream: This product promises an all-natural formulation. It gives one a healthy skin that is bright and beautiful. Dermology Cream: This treats skin using natural ingredients. The fact that it contains no harmful ingredients makes it safe for use by people of all skin types. The end results are normally a smooth and well-polished skin. 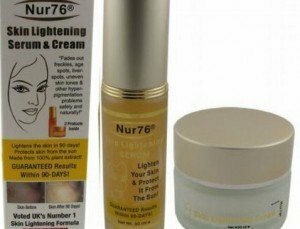 While there are many commercial products meant for skin bleaching, there also are natural skin bleaching products. There are a number of ingredients that one can combine to make a natural skin bleach at home. Different ingredients contain different bleaching agents. Milk contains lactic acid which helps to lighten the skin. Lemon juice which for long has been known to bleach the skin contains citric acid and vitamin C. Other natural bleaching ingredients include tomatoes, honey and cucumbers. One could use these on their own or follow various natural bleach recipes to make skin bleach. Before venturing into any form of skin bleaching, it is important to research on what side effects are likely to be experienced from the use of the given product. Prolonged use of bleaching products is also not encouraged as it could have adverse effects on the skin.